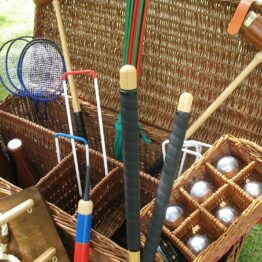 A quintessentially English collection of luxury garden games. 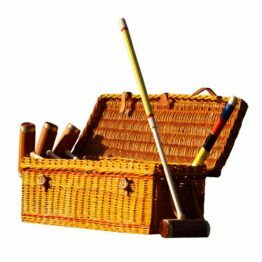 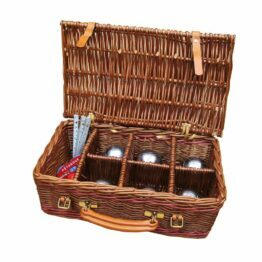 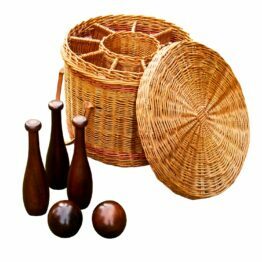 Who other than Geoffrey Parker to provide a traditional English Willow “picnic” baskets trimmed with English bridle hide. 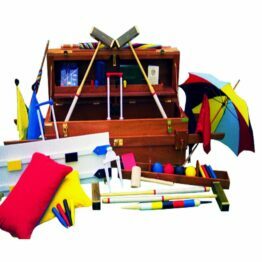 Our collection of luxury garden games is perfect for summers with the family, games on the lawn or entertainment at family events or weddings. 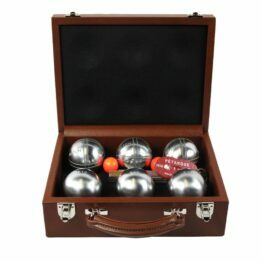 Our handbound leather presentation cases to look even better on a summers day. 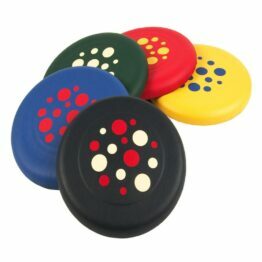 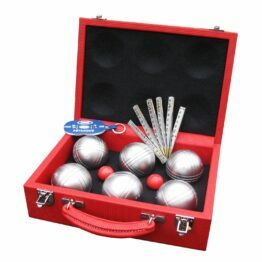 From croquet sets to skittles and boule; you’ll never miss a moment to play again. 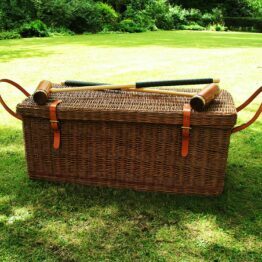 Handmade to order and the perfect accessories for country homes, luxury hotels and boutique b&b. 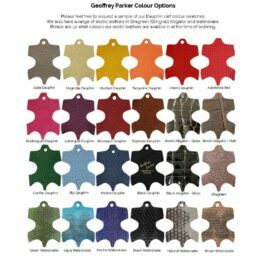 Please order in advance of any event or occasion, the majority of our games are handmade to order. 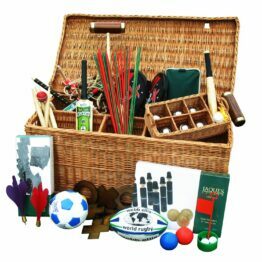 Should you require these for a special event please let our team know to ensure we can meet your deadline.